The new all natural way to reduce your cholesterol level when diet and exercise alone haven’t produced the numbers you need for peace of mind. Cholesta-Lo is a combination of nutrients that has a powerful effect on reduction of high cholesterol and triglycerides levels. Clinical research has proven that the ingredient Reducol in Cholesterol Success reduces LDL cholesterol (often described as the bad cholesterol) up to 24% when 1.7gm per day are consumed as part of a healthy diet. (1)(1) Jones et al.,AM.J.Clin. Nut 1999;69:1140-50. We are confident our product name does not overstate our promise. Combining Cholesterol Success with proper diet & exercise will help you achieve success in your fight to lower unhealthy cholesterol levels. Helps maintain normal blood pressure levels. Stabilizes blood pressure. Brings the diastolic and systolic pressures to safe normal levels. 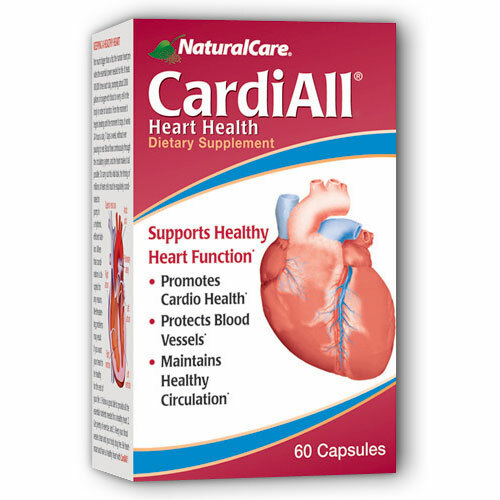 CardiAll Supports Healthy Heart Function. Promotes cardio health, Protects blood vessels, Maintains healthy circulation. Today’s Cardiovascular Issues Millions of Americans today are interested in learning all they can about their heart and doing all they can to support healthy cardiovascular function. Modern technology has removed much of the mystery surrounding the heart, but our body still contains about 75,000 miles of blood vessels that we need to keep in good physical condition. And many people who experience heart challenges have no previous symptoms or health concerns. Clearly, heart and blood vessel issues are a major concern today. It’s vitally important to provide all the essential nutrient and adequate exercise required to have a healthy heart. Because after all, it provides the essential life-sustaining power that is so necessary for a happy, healthy life. CardiAll is a high quality, exclusive formulation providing the most advanced and most effective form of natural nutrients directly targeted for the heart. 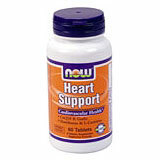 Highest Quality Nutrients for Heart Support. You can help support your cardiovascular function with the help of scientific studies about nutritional support for the heart and their definitive Guide to Heart-Healthy Living inside. New research reveals that the powerful antioxidants and natural ingredients in CardiAll provide powerful micronutrients specifically for the heart, neutralize damaging free radicals, and help support the heart and vessels as they age. Our veins carry more than simply the blood we pump – they carry life. Poor circulation, extended periods of standing and inefficient blood vessels can hinder healthy oxygen-rich blood flow to the lower extremities. Aside from the embarrassing cosmetic challenges, suffering circulation can also result in a number of undesirable health concerns. By incorporating Turnorin®, a proprietary natural extract of prickly ash bark from Unigen’s laboratories shown effective in encouraging sound circulatory function, NOW® Vein Supreme™ is a unique new product designed to promote normal, healthy circulation. To provide even greater support, we’ve included Butcher’s Broom, Horse Chestnut and Grape Skin extract. 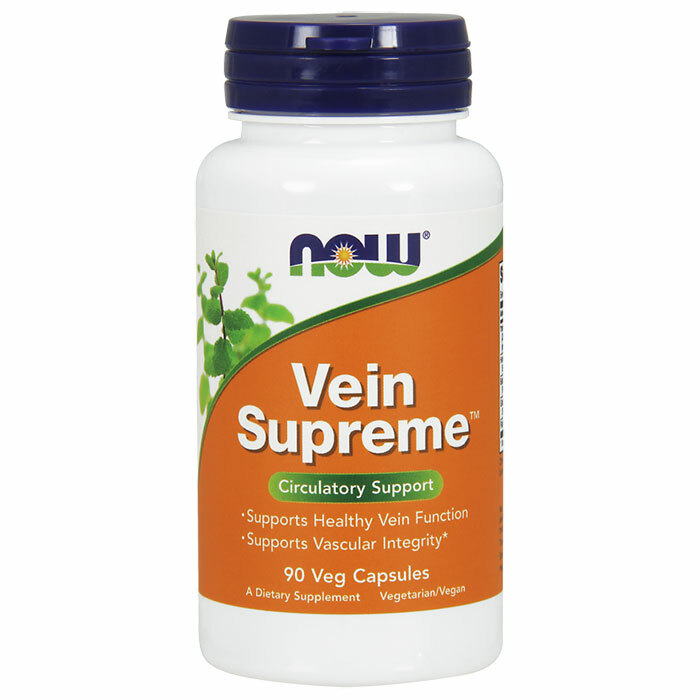 New Vein Supreme™ from NOW® offers a safe and effective way to support normal vascular tone while promoting healthy circulation to lower extremities. Supplement Facts Serving Size: 2 Vcaps® Amount Per Serving % Daily Value Trunorin® (Standardized Prickly Ash Bark Extract) (Zanthoxylum americanum & clava-herculis) 7.5% Total Alkaloids) 250 mg Horse Chestnut Extract (Aesculus hippocastanum (Seed) (Standardized to min. 20% Aescin) 100 mg Butcher’s Broom (5:1) Extract (Ruscus aculeatus) (Root) 50 mg Grape Seed Extract (Vitis vinifera) (min. 90% Polyphenols) 20 mg Rutin 10 mg Suggested Use: As an herbal dietary supplement, take 2 Vein Supreme Vcaps daily. Free of: salt, yeast, wheat, gluten, soy, milk, egg or preservatives. Other Ingredients: Rice Flour, Cellulose, Cellulose (capsule), Maltodextrin, Magnesium Stearate (vegetable source) and Silica. Vegetarian Formula. Disclaimers: This statement has not been evaluated by the FDA. This product is not intended to diagnose, treat, cure or prevent any disease. Heart Support ("Dr. Recommended") The human heart beats on average over 100,000 times per day. This is a 24-hour a day job that requires complete heart-healthy nourishment, cellular protection and a reserve of energy that is literally never-ending. To support these demanding needs, NOW Heart Support contains energy releasing L-Carnitine and B-vitamins along with CoQ10 and Alpha Lipoic Acid – two powerful antioxidants, vital to the cellular protection and free radical destruction of hard-working heart muscles. When used in conjunction with a healthy diet and exercise regimen, this state of the art heart-friendly formula is a perfect companion on the road to a healthy heart. Supplement Facts Serving Size: 3 Tablets Amount Per Serving % Daily Value Vitamin B-1 (as Thiamine HCl) 50 mg 3333% Vitamin B-6 (Pyridoxine HCl) 50 mg 2500% Vitamin B-12 (as Cyanocobalamin) 1 mg 16667% Folic Acid 800 mcg 200% Magnesium (as Oxide / Aspartate) 200 mg 50% Potassium (as Chloride / Aspartate) 200 mg 6% Iodine (as Kelp Extract) 300 mcg 200% Selenium (as Selenomethionine) 140 mcg 200% Pure-Gar Garlic 1 g L-Carnitine (as Tartrate) 400 mg Ginger Root (Zingiber officinale) 250 mg Cayenne Pepper 150 mg Hawthorn Extract (Crataegus oxyacantha)(1.8% vitexin-2′-rhamnoside & hypero 150 mg Coenzyme Q10 30 mg Alpha Lipoic Acid 20 mg Total Carbohydrates 1 g <1% Suggested Use: As a dietary supplement take three or more Heart Support tablets daily, preferably with meals, in divided dose. Free of: Salt, yeast, soy, milk, corn, wheat or preservatives. Other Ingredients: Maltodextrin, magnesium stearate, stearic acid and cellulose. Warnings: If you are currently taking medication please consult your physician/cardiologist prior to use. NOW Heart Support is a synergistic combination of nutrients and herbs that support your cardiovascular system a number of different ways. The B vitamins in this formula are necessary for blood cell formation, healthy heart muscle tone and proper circulation. Folic Acid and B-12 also help the body regulate homocysteine, a dangerous by-product of methionine metabolism that forms around the heart, allowing cholesterol to be deposited there. Heart Support also contains heart-healthy minerals such as potassium and magnesium, antioxidant support from Selenium and Alpha Lipoic Acid, and CoQ10 and Carnitine for heart muscle energy. Garlic, Ginger, Cayenne and Hawthorn are herbs that have been safely used to support heart health for hundreds of years. Supplement Facts Serving Size: 3 Tablets Amount Per Serving % Daily Value Vitamin B-1 (as Thiamine HCl) 50 mg 3333% Vitamin B-6 (Pyridoxine HCl) 50 mg 2500% Vitamin B-12 (as Cyanocobalamin) 1 mg 16667% Folic Acid 800 mcg 200% Magnesium (as Oxide / Aspartate) 200 mg 50% Potassium (as Chloride / Aspartate) 200 mg 6% Iodine (as Kelp Extract) 300 mcg 200% Selenium (as Selenomethionine) 140 mcg 200% Pure-Gar Garlic 1 g L-Carnitine (as Tartrate) 400 mg Ginger Root (Zingiber officinale) 250 mg Cayenne Pepper 150 mg Hawthorn Extract (Crataegus oxyacantha)(1.8% vitexin-2′-rhamnoside & hypero 150 mg Coenzyme Q10 30 mg Alpha Lipoic Acid 20 mg Total Carbohydrates 1 g <1% Suggested Use: As a dietary supplement take three or more Heart Support tablets daily, preferably with meals, in divided dose. Free of: Salt, yeast, soy, milk, corn, wheat or preservatives. Other Ingredients: Maltodextrin, magnesium stearate, stearic acid and cellulose. Warnings: If you are currently taking medication please consult your physician/cardiologist prior to use. You are currently browsing the archives for the Heart And Circulatory Health category.